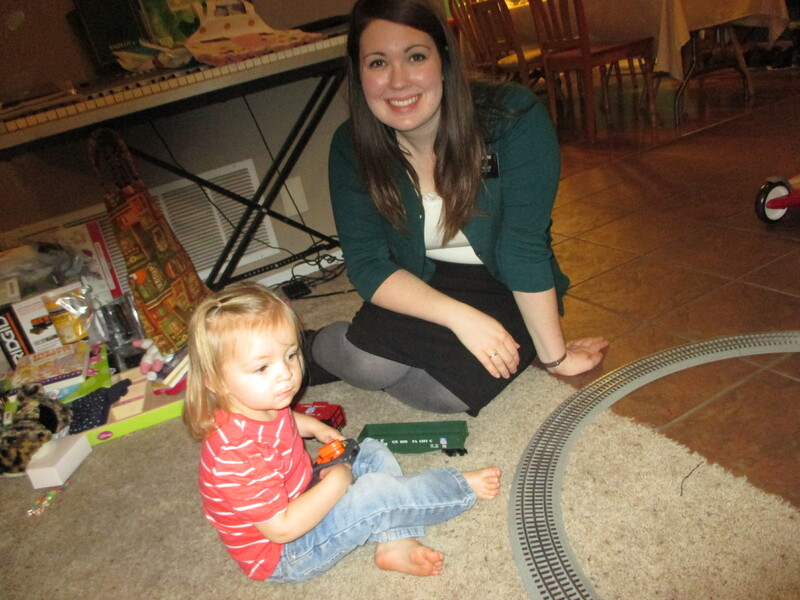 Playing with trains on Christmas Day. Well, Missoula is just about buried in snow right now! Over the last two days, we’ve accumulated at least nine inches of snow. It is finally above freezing today so it might start melting, but now the roads are a big slushy mess. I guess that’s what comes of living in Montana, no? 🙂 The first part of the week was just bitter cold. Nothing like a brisk -15 degree wind chill to make you scurry inside as quick as you can. Sister Moore and I were bundled from head to toe! Unfortunately, it didn’t prevent me from getting sick. I started feeling stuffy on Saturday, and now I have a full blow cold which is not fun. Thankfully it is preparation day today, and I think I will just take a nap on a couch at the stake center while everyone else plays basketball and pod-ball. Karen, who was just baptized last week, is doing great! We texted her this week and asked her how she’s been feeling since her baptism. This was her response: “I keep trying to find the right words to describe it but I can’t. I definitely feel different- good different. I think about my actions more. Oh I had such a power experience during my confirmation.”. My heart is still glowing over that text. I couldn’t be happier for her! We have been working with our investigator Brett a lot this week. The first ward sisters found Brett a while back, and just recently transferred him over to us. Brett is still struggling to have a testimony of Joseph Smith and the Book of Mormon, but he made some good strides this week. Brett is on date for baptism for the 17th, and we are going to make sure that he makes that date! We also have a new investigator this week- her name is Eboni. Her situation is kinda odd- her mom is an active member and her dad is not a member. Her dad didn’t let any of his kids get baptized until they were 18 years old, and Eboni just turned 18 a couple of weeks ago and now wants to be baptized! She grew up going to primary, and while she hasn’t been very active while she’s been in high school, I think that this will help her get back on track. So yeah, she’s the most golden investigator a missionary could ever dream of! She’s on date for baptism for the 24th. Oh yeah, Happy New Years! We had a pretty relaxed evening for new years eve. We didn’t have a dinner appointment, so we treated ourselves to chicken from the Walmart deli (#missionarylife) and then hung out at the institute building until 9pm with the other missionaries in our district that didn’t have anything to do. We were home and asleep by 9:45- it was nice! 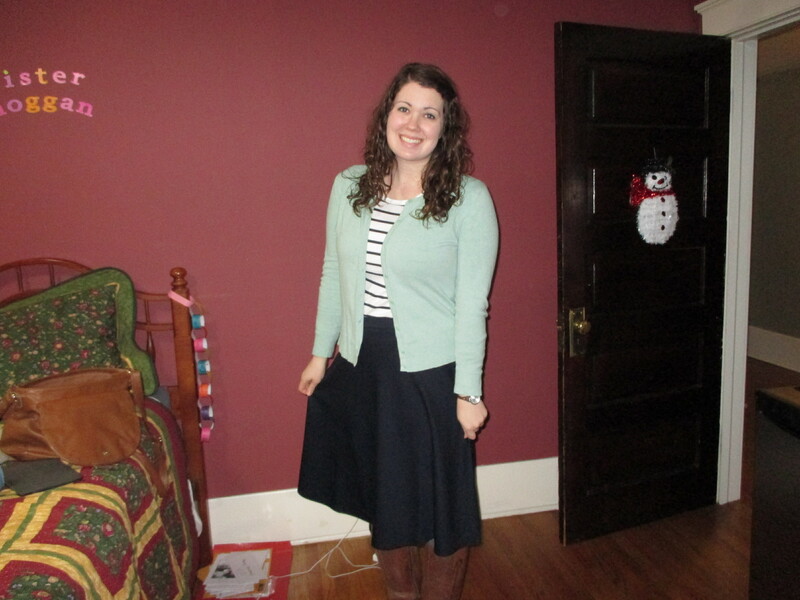 On Sunday, our Relief Society lesson was about making resolutions to become rather than to do. I really enjoyed that perspective, and it made me reflect on the goals that I want to achieve before I leave the mission and for after I am home. 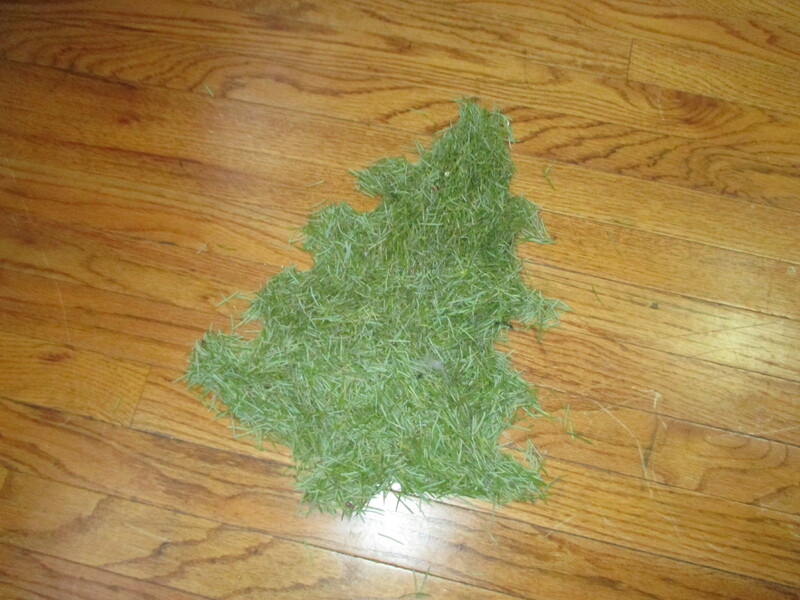 I made a christmas tree out of the sheddings of our actual christmas tree when we took it down. We also had a break-through of sorts with one of the less-actives that we work with a lot, Rachelle. She has been making some pretty poor life choices for the past few months, and I think she finally realized that it wasn’t making her happy. We had some lessons over the phone and the Spirit was so strong. She even came to church with us on Sunday for the first time in probably three months. I really hope that she can keep going strong and get her life back on track. She’s awesome, and we’ve grown really close while I’ve served her in Missoula. 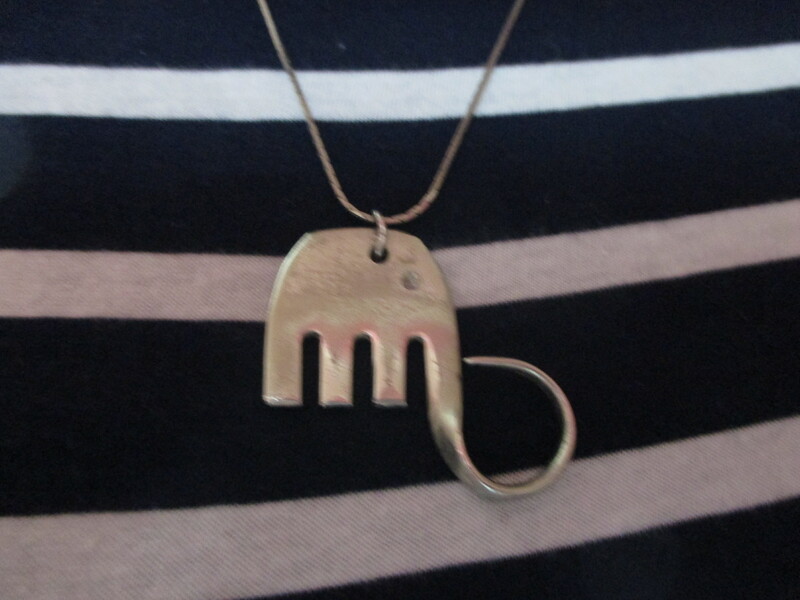 She made me a gift this week- an adorable little elephant necklace made out of a silver fork! Ahh, it’s my favorite. I’ll attach a picture. Well that’s about all I can think of to write this week… I love you all and I’ll talk to you later!! !